LIKE NEW BUT WITHOUT THE PRICE TAG! 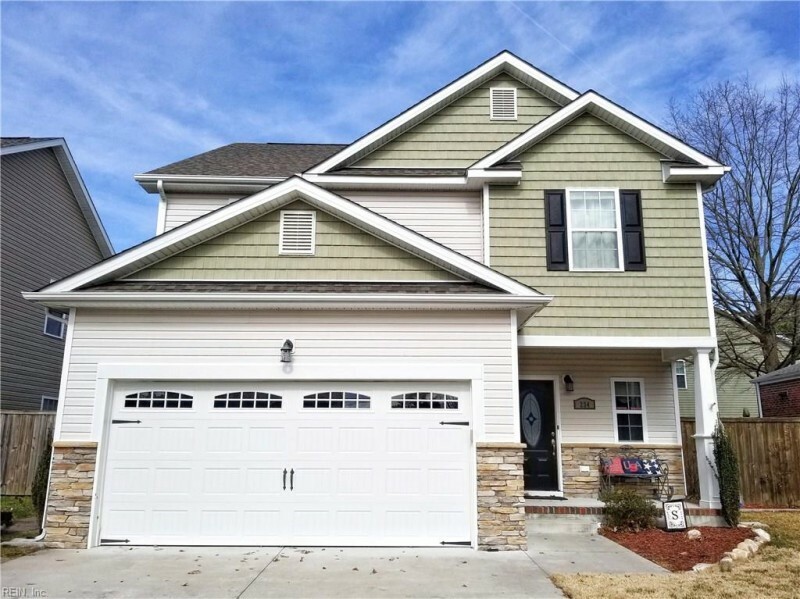 POPULAR OAKDALE MODEL LOCATED IN DARDEN ESTATES/ALBEMARLE. OVER 2000 SQUARE FEE, GRANITE COUNTER TOPS IN KITCHEN AND BATHS. LARGE BEDROOMS WITH PLENTY OF CLOSETS. BAMBOO FLOORING ON FIRST FLOOR. PRIVACY FENCED IN BACKYARD. ATTACHED 2 GARAGE. CONVENIENT LOCATION NEAR BASES, INTERSTATE, SHOPPING, RESTAURANTS, BEACHES, AND GOLF COURSE. Ready to visit 234 New? Request a free property tour! Send me more information about the listing at 234 New, Norfolk, VA 23503, MLS# 10239972. This 4 bedroom, 3 bathroom home located at 234 New, Norfolk, VA 23503 has approximately 2,014 square feet. It is currently listed for $295,000 and has a price per sqft of $14,647. This home is currently Sold under the MLS#: 10239972. This listing is provided by Rose & Womble Realty Company. 234 New Street, Norfolk was built in 2013. It has Garage Att 2 Car parking.The kitchen includes Dishwasher, Disposal, Dryer Hookup, Microwave, Elec Range, Washer Hookup. 234 New is part of the Albemarle neighborhood located in 23503.